"With her unspoilt beauty, Diqing,is an Edenic garden far from the madding crowd, capable of capturing one at first sight. Shrouded in mystery from time immemorial, Diqing entrances one with her spellbinding charms and brings one into a land of pro-mise, a never-never land full of divine wonders and rich cultures." This is a true description of the living SHANGRI-LA of DIQiNG, a Tibetan autonomous prefecture in Yunnan, China. 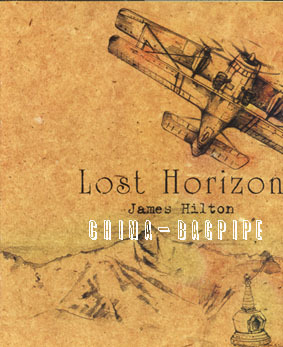 In his novel Lost Horizon published in 1933, the famous British writer, James Hilton, describes Shangri-la as a place of eternity, peace and tranquility, an idyllic world of imposing snow mountains, deep gorges crystal lakes, beautiful prairies, green trees, maj estic but mysterious monasteries. Representing people's longing for a better life and their strong wish for a utopian civilized world of peace and happiness, Shangri-la has for more than 50 years been the dreamland people across the world seek after. 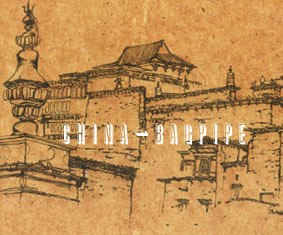 Explorers from all parts of the world trekked to Tibet, lndia Nepal and other places to find it. But none of the places they found, to their disappointment, perectly fit Hilton's description of Shangri-la. Where is the real Shangri-la? No one could give a definite answer until the 1990s, when explorers and researchers, after years' search and investigation, gathered sufficient evidence to prove that Shangri-la lies in Diqing, Yunnan, China. Mr. Yang Lizhuo, a senior licentiate of the Imperial College, the highest educ-ational institute in the Qing Dynasty (1616-1911), wrote in his Gong Nong Cun Ji, "Far from the earthly world, Diqing is the paradise of a region, where people are simple and honest." In 1933, Ms Liu Manqing, a legendary oriental woman, said in her Documentary of Zhongdian, "Westward out of Lijiang, the road became steep rocky trails, as if one were climbing up a ladder to heaven...Three days later, a vast plain sprang into our sight, with a refreshing wind singing and a bright m oon hanging in the sky. A green expanse of meadow extended as far as the eye could see. Interspersed among the grass were yellow flowers and flocks of cattle and sheep. Standing here and there were some tents. When we came nearer, we saw wisps of smoke rising from the kitchens of the houses in a wellarranged town. It seemed as if we had inadvertently come to a fairyland." In his report to the Provincial Government during the Republic of China (1912-1949), Mr. Zhu Boyong, the then magistrate of Zhongdian County, wrote, "Although Zhongdian is located in the frontier area, people here have an honest disposition. Since all nationalities live in harmony, feuds and annexations rarely happen among them." Among the snow mountains in Diqing are vast expanses of grassland. The fertile verdant meadows there agree with Blue Moon valley in Lost Horizon. Lying between north latitudes 26052' and 29o16', Diqing has a temperate and subtemperate mons-oon climate. But high mountains and deep valleys endow it with a mixture of distinct vertical climatic patterns, ranging form tropic to subtropic to glacial. A local saying goes that "four seasons concur on one mountain and different climates coexist in an area of ten li". These characteristics are in accord with those o f Shangri-la in Lost Horizon. Before the 1930s, Diqing depended on horse caravans for communicating with the outside world. The then Diqing was a forbidding region where there was neither viable water route nor road to speak of. Like ShangrMa, horse caravans and porters were the only link of Diqing with the outside world.